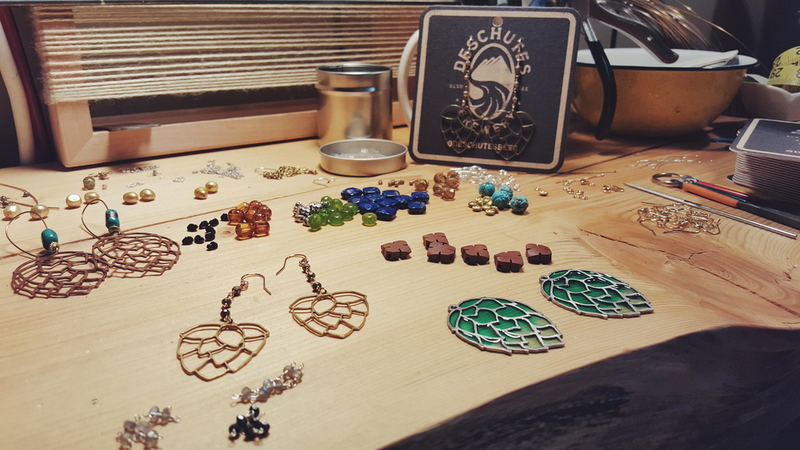 We're thrilled to announce the release of a new line of earrings, created exclusively for Worthy Brewing. A few months ago, we put our heads together with the good folks on their team and came up with two new designs that you can now find in their beautiful establishment and in our online store. Hope you get a chance to stop by soon and enjoy a pint of one of their tasty experimental Heart & Soul series - maybe we'll see ya there! You ask, we deliver! Wherever you happen to be in the world, we ship directly to your mailbox. Hassle-free check out available now through our online store! Look who's carrying Hopped Up Jewelry! We hope you get the chance while you're in Bend to stop by Deschutes Brewery for a grand tour or the Public House in Portland for a bite & a pint. Our friends there are always stoked to talk beer and take good care of you. 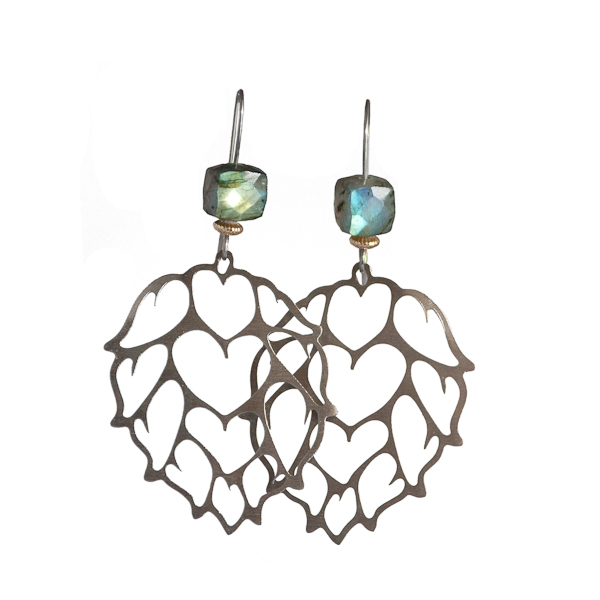 They'll probably try to hook you up with some fresh hop earrings, too! We've partnered with the good folks at Double Mountain Brewery to bring you these beautiful special edition hop flower earrings. I stopped by their taproom in Hood River this weekend to drop off another twenty pair. 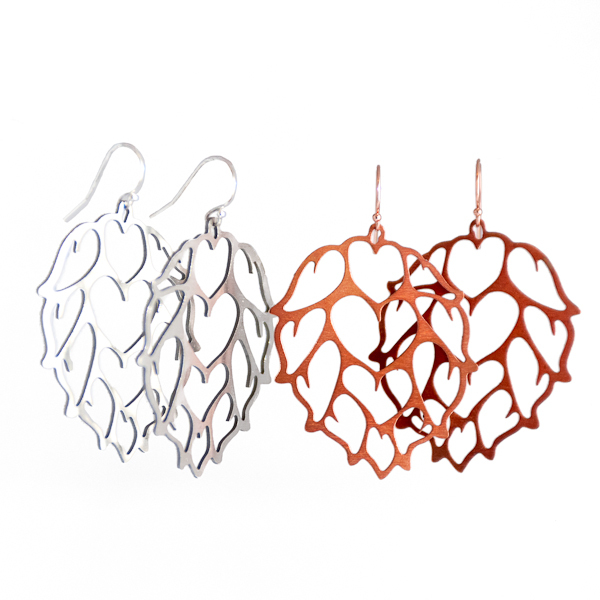 Show your love of their great brews like The Vaporizer by sporting these dangles or buying your lady a pair. They tend to go fast, so don't wait around!